OCONOMOWOC, Wis., Oct 27, 2010 /PRNewswire via COMTEX News Network/ -- Associated Banc-Corp today announced the plan to open a larger Oconomowoc, Wisconsin location. Positioned near the Pabst Farms shopping district, the new Associated branch will replace the site currently located in the Whitman Park Shopping Center on E. Summit Avenue in Oconomowoc as well as the branch located on Main Street in Dousman. Associated Bank employees at both branches will transition to the new location near Pabst Farms. Customers in both communities have been notified of the change of locations. "We're excited about our newest location", said David Stein, Executive Vice President - Director of Retail Banking. "The consolidation of the older Dousman and current E. Summit Avenue branches into one standalone facility allows Associated Bank to welcome customers to a well-appointed and convenient branch while continuing to deliver stellar customer service." The bank is nearing completion of renovations to an unoccupied building, updating it with Associated's newest facility designs and layouts. "This branch is another example of Associated's efforts to renew and revitalize our facilities. We have tremendous pride in our commitment to the communities we serve, and we want to contribute to the ongoing development of western Waukesha County," said Stein. "On behalf of the City of Oconomowoc," said Mayor Jim Daley, "I would like to extend our congratulations to Associated Bank on their new facility and wish them continued success in serving customers in the Oconomowoc and surrounding areas. The City is happy to have Associated Bank as part of our community." The new branch is slated to open on November 1st, 2010. In the interim, the Dousman and Oconomowoc branches will continue to operate 6-days per week as normally scheduled. Associated Banc-Corp is a diversified bank holding company with total assets of $23 billion. Headquartered in Green Bay, Wis., Associated has 290 banking offices serving approximately 160 communities in Wisconsin, Minnesota, and Illinois. 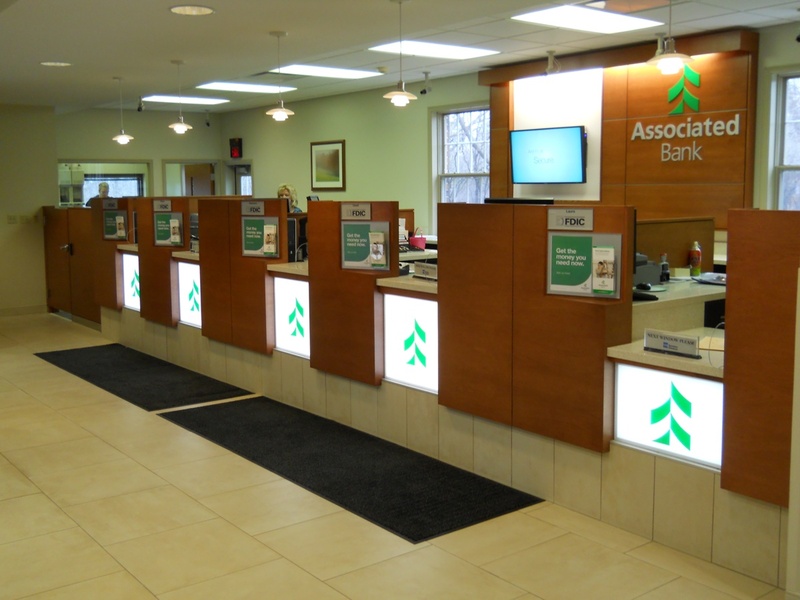 Associated offers a full range of traditional banking services and a variety of other financial products and services. More information about Associated Banc-Corp is available at www.AssociatedBank.com.